Using the Designer, set a Horizontal layout at top, and add a Label and set its text to Set stride length:, then add a Textbox to its right. Add another Horizontal layout and add two buttons. Set one for the Start measuring button and the other for the Stop measuring button. The next line is optional – a label has been added which is used to display the WalkingStep event status. Then add another Horizontal layout with two labels – one to say “Elapsed distance:” and the second to display the distance traveled. Don’t forget to add the Pedometer component! The Pedometer is located in the Sensors section of the Palette, and when dropped on the Designer View, appears as a non-visible component below the screen area. The NumbersOnly property checkbox of txtStrideLength is checked to limit the input to numeric values. Setting up the Designer View is harder than writing the app! The Pedometer is started by – surprise – calling its .Start method. The Pedometer is stopped by calling its .Stop method. The .Reset method resets the distance counters to zero. 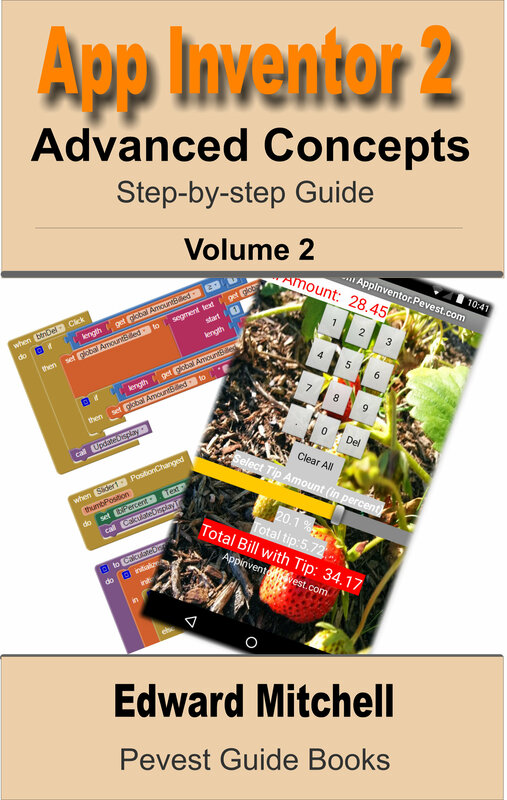 As you walk, the Pedometer component generates two events – either SingleStep or WalkStep. The distance parameter holds the estimated distance traveled and is the same as the Pedometer.Distance property. Access the source file at the MIT App Inventory Gallery. 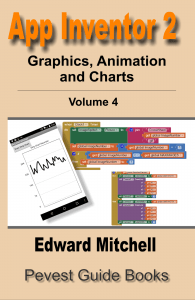 In addition to hundreds of posts and examples on this blog, I have several e-books available from Google Books, Amazon and other outlets. 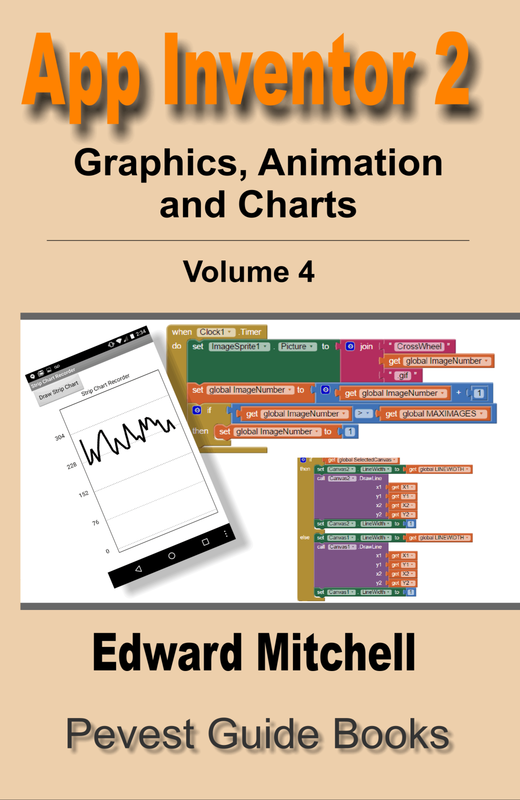 The books cover topics that are far too large to cover in blog posts, especially for Volume 3 – Databases and Files and Volume 4 – Graphics, Animation and Charts. 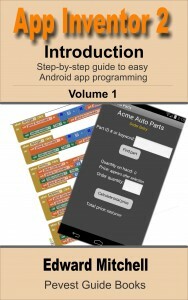 Volumes 1 and 2 are intended for those just starting out with App Inventor. Visit the books page for details on each book, sample chapters, where to buy – all are very inexpensive. 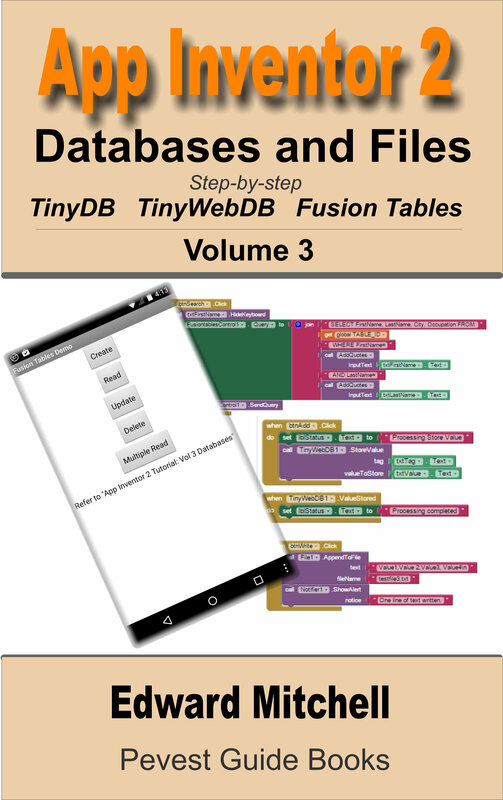 Also, use the Search box in the left column of this web site to look for other examples to help you with your App Inventor programming! 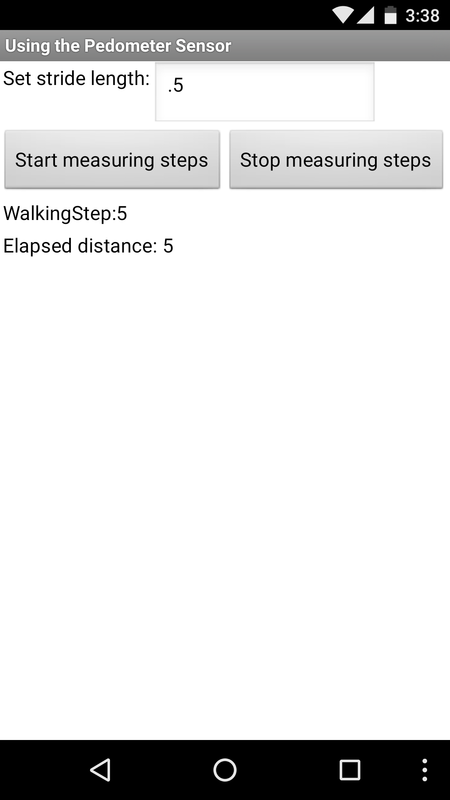 I replicated this tutorial to learn about pedometer. Thus the average hourly speed is measured. Researches showed that if speeds over 5 km / hour for people over 70 yo, death couldn’t reach them. The condition for a healthy aging is to walk over 6000 strides / day with an average speed of over 3 km / hour. 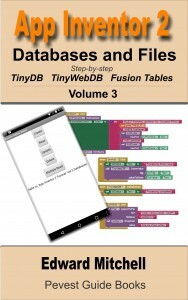 That is a very good idea for an App Inventor app – this can certainly be done using the pedometer and Firebase (or TinyWebDB) to store the data in a database to be used for drawing a chart of speed.